After the fantastic sound journey we took with Philip Jeck on Thursday night, we returned to the Museum of Garden History on Friday evening for the second instalment in Touch's Atmospheres 2 festival. With a line-up ranging from processed field recordings to solo piano and laptop-filtered electric guitar, Touch ensured that our interest would be held through sonic diversity as well as stellar performances. Placing effects-treated field recordings at the centre of their sound, the Bristol-based duo of Matt Davies and Simon Whetham opened the night's proceedings. Bell chimes and the clanging of metal filled the room in a performance that employed recordings the duo made of Bristol's swing bridges. Davies and Whetham began quietly, gradually increasing the volume without ever becoming loud. In doing so they demonstrated an understanding of a crucial aspect of manipulating field recordings: sometimes you need to turn the volume knob down to be able to truly listen. Attendees from Thursday night who wondered if the grand piano would ever be used found an answer to that in the next set as pianist Charles Matthews took his place behind the keys. Alternating styles from heavily repetitive to wildly unpredictable, we were fortunate to stand close enough to see Matthews' hands blur as he tore through a variety of modern works for solo piano. With so much technology-driven music being offered, it was pleasantly surprising to find ourselves floored by the most traditional instrument in the room. After Charles Matthews wrapped up his set and before Christian Fennesz performed alone, the two presented a collaborative effort. Matthews continued on the grand piano whilst Fennesz contributed fuzz and muted roar from his laptop and electric guitar. This joint effort had the potential to bridge two brilliant parts of the programme, but where Thursday's collaboration between Philip Jeck and Marcus Davidson felt natural and effortless, this sounded slightly forced. Matthews was simply unstoppable after his solo set and there just wasn't much room for Fennesz to build upon what was already great on its own. The opportunity for Fennesz to really shine came as he closed the night with a solo performance. Seeing the electric guitar strapped around him, we couldn't help but enter a rock 'n' roll mindset. All the shredding, however, would be done by the bitcrushers and delay processors inside his MacBook Pro, as the software on his laptop transformed the guitar into a very different instrument indeed. The slightest movement of a solitary string seemed capable of unleashing massive waves of airy howl as well as subtle touches of dithered buzz. With noise resembling the gentle gauze of My Bloody Valentine (albeit with the rhythm section jettisoned) more than Merzbow, Fennesz showed us the warm and comforting side of distortion. After thirty odd minutes of crushing bliss, Fennesz softly touched down to a beautiful conclusion. Perhaps because the ending was so perfect that Fennesz appeared amused off-stage when the audience started begging for an encore. We were taken aback as well, because frankly we've never seen any crowd plead for more at an experimental electronic gig. It must have been the electric guitar that inspired everyone to let loose and hoot and holler until the laptop rock star returned to the stage. After appeasing us with a few more minutes of his soaring whoosh, we finally let him go, his rich sound still swirling through our heads as we walked home along the river. Quite unfortunately we were unable to attend Monday's final day of Atmospheres 2, although the two days we did see made us wish we could have. We've been fans of Touch for a long time and feel that having several days of gigs devoted to their artists is a wonderful addition to London's experimental music scene. If we're lucky maybe they'll make a few of the festival's sets available on their excellent Touch Radio podcast, but if not we'll just replay our good memories and hope an Atmospheres 3 comes soon. 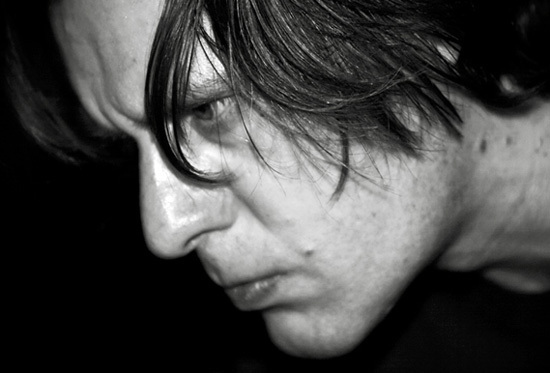 Image of Christian Fennesz taken from [charlie cravero]'s Flickr photostream under its Creative Commons licence.